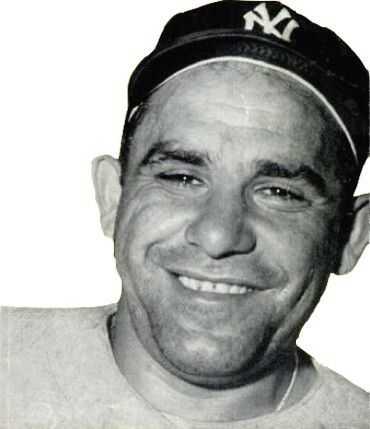 Yogi Berra (Lawrence Peter Berra) was a professional baseball player. He was a catcher, coach and manager and played 18 of his 19 seasons with the New York Yankees. He lived to the grand age of ninety and left us in September 2015. Yogi was known to have made some memorable quotes and has even been credited with quotes that might not have been his own. Here are just 20 of my favorite quotes from the baseball great that I believe are original to him. I hope you enjoy them as much as I do. No doubt, Yogi Berra had a way with words. A way that made no sense but made sense. A way that the sports writers loved and a way that, when remembered, we all chuckle a little and consider how these funny sayings are going down in history, just like the legend that first spoke them. Previous post: Where Does ISIS Fit Into Bible Prophecy? Next post: Should A Christian File Bankruptcy?